“Who ya gonna call? 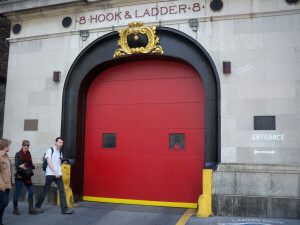 GHOSTBUSTERS!” Can you believe that movie and its joyful song came out 30 years ago today?? 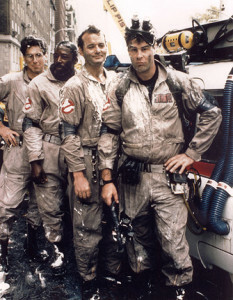 The movie was written by Dan Aykroyd and the late Harold Ramis. Putting them together with Bill Murray, Ernie Hudson, Rick Moranis, and Sigourney Weaver was pure magic. And it’s amazing how funny the movie still is after all these years! 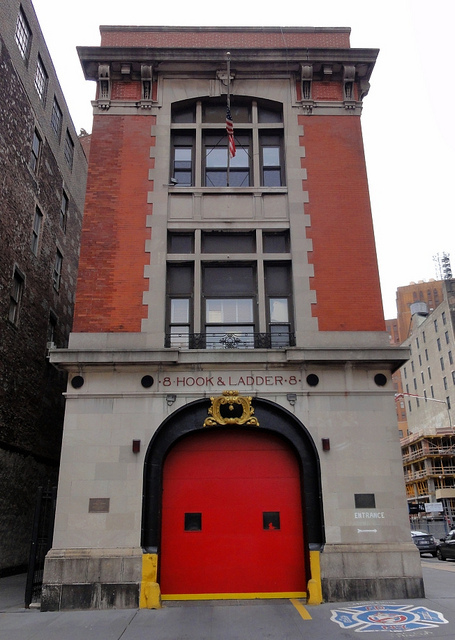 Today, the New York City firehouse (Hook & Ladder 8) that provided exterior shots as our heroes’ headquarters in the film is still a fun film locale to visit – even if all the interiors of the Ghostbusters’ office were actually filmed in Los Angeles. 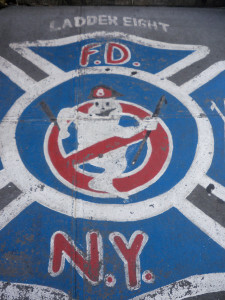 The real fire station in Tribeca even proudly showcases the Ghostbusters badge on the sidewalk in front of its building, which I happily snapped a pic of during a visit several years ago. By the way, a scene was also shot outside the New York Public Library. But again, the interior scenes of the guys chasing ghosts were filmed in LA. To coincide with the 30th anniversary, the film’s official website has released “never before seen” photos and video clips, as well as a new remastered edition of the movie with deleted scenes, a special “Digibook set,” and an exclusive Slimer figurine. Even more fun, the original movie is going to be re-released in August to 700 theaters in the US and Canada for a limited run, while a new art exhibit about the show will be traveling across the country soon. And of course there’s the announcement that scripting for Ghostbusters 3 has now begun. Digital Spy reports that Sigourney Weaver has said it will focus at least in part on her character’s now-grown son Oscar. I’m going to take a wait and see attitude. And maybe it’ll be fun. But at least to me and many, many other fans, the original will always be king. After all, it’s obviously still going strong 30 years later. 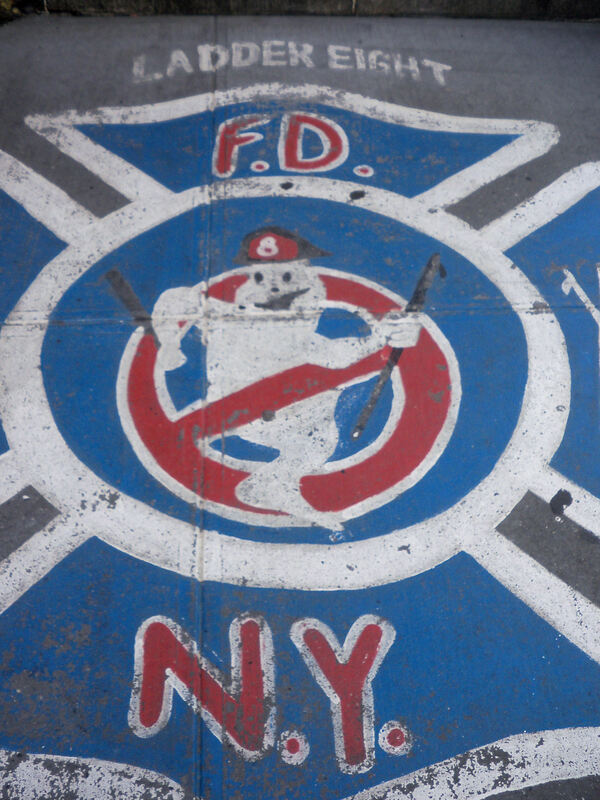 All because they weren’t afraid of no ghost. This was a fun movie. Thanks for the memories. I’m officially putting this on my must-see list for my next NYC trip! You should Stacie! The real firefighters there are so laid back and used to the tourists. Just a fun place to check out. One of my favorite movies. Thanks for the insights into the sights in NY. One of my favorite movies too Sandy. I was happy to have an excuse to re-watch it! And seeing the locations in NY was fun too.